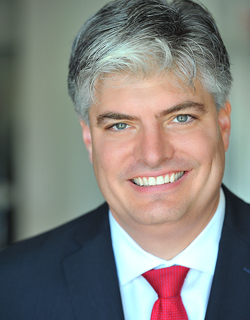 Matt Flemming is a California licensed and bondable Professional Fiduciary (#911) and National Certified Guardian. He serves clients as trustee, executor, conservator, agent for durable power of attorney for finance and advanced health care directives as well as trustee for special needs trusts. Matt is a 2003 and 2004 graduate of Princeton Theological Seminary (Master of Divinity and Master of Theology). He taught seminary students at Princeton Theological Seminary, Emory University and Columbia Theological Seminary for ten years. He views his work as a fiduciary as a means to serve those in need. Matt worked as a chaplain at the Trenton Psychiatric Hospital in Trenton, New Jersey where he gained extensive experience in engaging people with mental and physical capacity challenges. He specializes in managing the personal affairs and health care of people suffering from dementia or diminished capacity. He has extensive experience in navigating the complexities of his client’s unique health care needs and has developed a strong network of care providers to give his clients excellent care. Prior to becoming a Professional Fiduciary, Matt was the COO of the estate planning firm, Practical Plans where he gained considerable experience with trusts and estate planning. He believes that combining his background with PFS team’s experience in financial planning, estate, trust and probate law enables them to provide quality support to clients regardless of the complexity of their legal, financial and medical situations. Matt bases his practice on developing relationships of trust and openness with his clients and their loved ones. He works with clients throughout Southern California. In his free time, Matt enjoys spending time with his children: Jackson, Cooper and Sloan. He volunteers on the Advisory Board of the Ageless Alliance, an anti-elder abuse advocacy organization and is a Director for the Laguna Beach High School Scholarship Fund. He is a former member of FAST, The Council on Aging’s Financial Abuse Specialist Team.